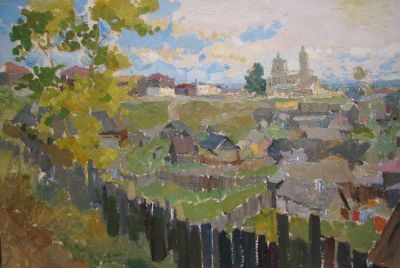 Veniamin Veniaminovich Kremer was born in Russia in 1899. Kremer studied in the studio of the Russian master Isaak Brodsky and was friends with Nicolai Fechin. 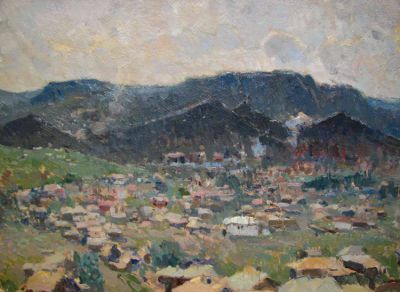 Kremer was a highly respected painter throughout his career. His son, Mark, is a well-known painter as well as his grandson and Gallery Russia artist, Alexander Kremer. Kremer participated in many shows including the ″Twenty Years of Workers′ and Peasants′ Red Army″ exhibition of 1938 in Moscow and the ″Industry of Socialism″ exhibition of 1939 in Moscow. Kremer is listed in Matthew Bown′s, A Dictionary of Twentieth Century Russian and Soviet Painters.